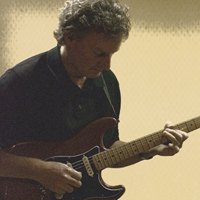 “Nick is a tremendous guitarist and teacher. His technique is awesome..."
"Nick has been teaching my 12-year-old son, Robert, rock guitar for the past eighteen months. As a parent I could not wish for a better teacher. I highly recommend Nick..."
"Nick has had a massive influence on my playing..."
Click on the links below to view pdf samples of course materials typically provided to all students. Please note; students are supplied with audio examples for all printed course materials.